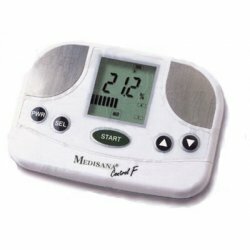 computerized device for the separate analysis of body tissues that helps determine the percentage of fat and lean tissue (muscles, bones, organs, ...), then calculating the actual impact on the patient's ideal weight. This equipment is ideal for nutritionists, gyms and sports centers, but also perfect for home use. It allows to know not only the ideal weight but also the nutritional health of our body. The body fat analyzer measures the flow of the electrical signals (impedance or electrical resistance of the human body) through the ADIPOSE fabrics, MAGRI (muscles, bones, organs) or WATER. When changing the amount of adipose tissue, lean or water, also it varies the body mass signal, which thus provides a reliable and accurate measure of the proportion of each of these components in the total weight. For a correct analysis apply the electrodes on the metacarpals and metatarsals, with a current of 50 kHz. The signal level corresponds to the index of the water mass and total fat mass. The procedure takes only 2 minutes and provides the same accuracy as other more expensive devices. The compact size and light weight make it portable, to perform the test anywhere. The analyzer helps you to get back in shape and to maintain it. - It allows you to check the effectiveness of your diet program by establishing precisely the origin of your weight loss (fat tissue, organic or water). - It helps to monitor the improvements in muscle mass as a result of physical exercise and / or diet. - Establishes a basic parameter of your body composition so that you can regularly monitor the time your diet or physical improvements. Frequent calibration is required for accurate results (0600323 calibration kit). Supplied with carry bag, 2-port cable kit electrodes, conf. 20 pcs. electrodes, battery 2x9 V, power supply and user manual (Italian, English, French, Spanish). EQUIPMENT FOR THE ANALYSIS OF BODY FAT computerized device for differentiated analysis of body tissues that helps determine the percentage of fat and lean tissue (muscles, bones, organs, ...), calculating the true incidence of the ideal weight patient. 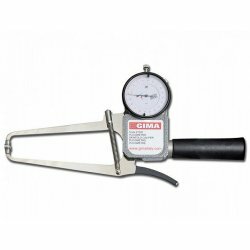 Based on the measurement of the electrical resistance of the body (impedance) to the passage of a weak high-frequency current. 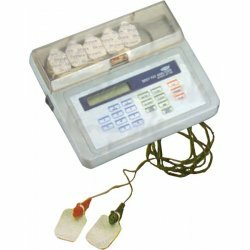 In this way the total mass of the elements constituting the human body: water, fat and muscles (including viscera and bones) can be accurately measured through the electrical resistance of the body. The measurement is done by collecting data that are transmitted from four electrodes connected to the device placed on the backs of the hands and feet. It can be used anywhere and anytime. Light weight and small size. With a simple painless test lasting 2 minutes, the device provides the percentage of body fat, the weight of the fat, the percentage of the muscles, the weight of the muscles, the ideal weight, percentage of body fat normal metabolism (BMR), the liters of water in the body of the patient. 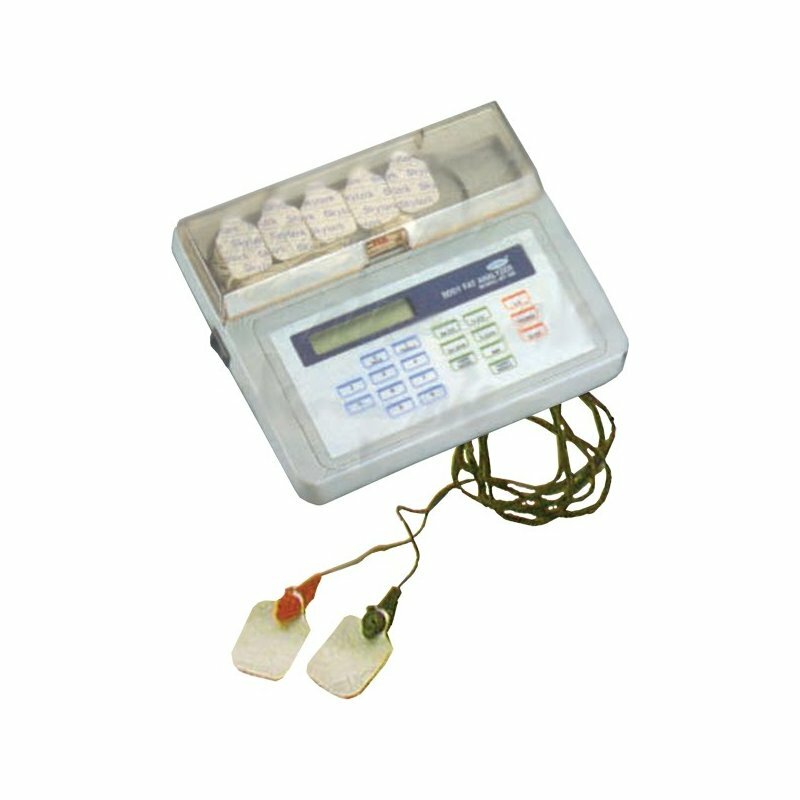 The use of the analyzer body fat helps to optimize the physical welfare in case of slimming treatments, in the case of diet and exercise for both in the case of sports activities, helping to control the increments and the distribution of fat mass and lean meat or to verify the cause of the mysterious gains or weight losses usually.